Massimo prides itself in sharing the same values as a Mother would. We believe in using only the finest ingredients, we take pride in bringing you wholesome breads, baked with passion – ensuring every bite, from taste, texture to nutritional values – meet the exact standards of excellence of the Massimo brand and heritage. Just like any Mother would in their own household. This year, we are celebrating the 3 most precious values a Mother possess – Honesty, Respect and Love. How does Massimo relate to these Motherly values? Honesty – From a tender age, our mothers have imparted that we always speak the truth. Similarly at Massimo, we keep to honest practices across every step of our production – to give you clean, halal products. Respect – Growing up, our mothers have always taught us to show respect, so that we may earn it in return. At Massimo, we respect our customers by never compromising on quality and taste in our products. Love – By showing us unconditional love, our mothers have instilled in us the gift of love. This special love is reflected in our passion for creating wholesome, delicious products for families. Participate in our Trail of Shared Values activities and you will be rewarded! The event started on Thursday, 10th May with activities such as Toast to Mama where you can take away interesting Mother’s Day designed toast for your Mom, learn the process of baking by participating in our balancing maze game and many more exciting activities. The highlight of the event will be on Mother’s Day itself (Sunday, 13 May), where we will be hosting the Grand Finale for our nationwide ‘Mom, I Love You’ Mother’s Day 2018 Contest to see who is the ultimate winner for the Grand Prize of a trip to a Magical Kingdom in Tokyo Japan. Massimo’s “Mom, I Love You” Mother’s Day Contest. Ran from 26 Mar till 30 April 2018 nationwide. Eligible when then purchase Massimo products (1 loaf or 2 rolls or Chiffon) and submit with the contest form. 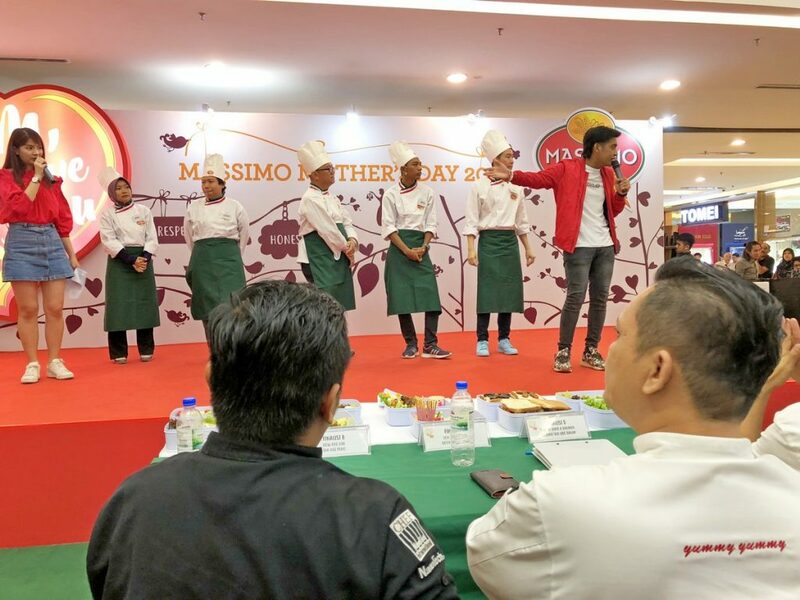 On 13th May 2018 at the Massimo “Mom, I Love You” Mother’s Day Event at One Utama, Kuala Lumpur, the finalists went through a series of games including a quiz on their moms, bread slicing, and making sandwich bento, judged by a panel. The judges were celebrity Chef Andri Hadi, Chef Farhan Bin Marzuki and En. Hisham Jalil, Head of Design of creative agency Dentsu LHS. 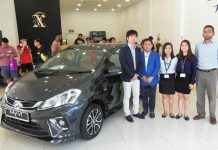 The Grand Prize winner of the Massimo’s “Mom, I Love You” Mother’s Day Contest 2018 is Mr. Voon Meng Soon.